I doubt you have leftover mashed potatoes left from Thanksgiving, but isn’t it sad that most of us don’t really have mashed potatoes regularly? In my experience, it’s a comfort dish that I’d see at family gatherings or holiday dinners, not an everyday side dish unless, that is, it’s the packaged grocery store variety that takes seconds to whip up. 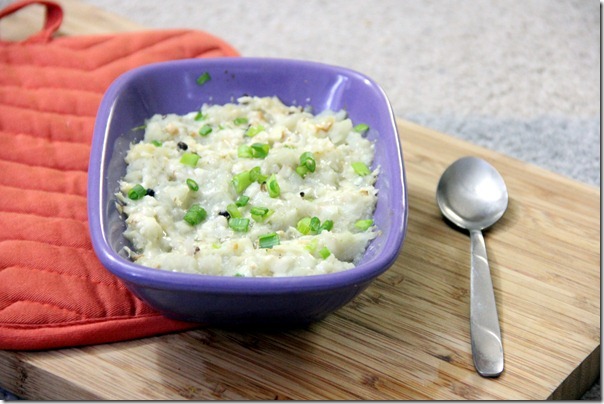 This recipe serves a mashed “potato” casserole that is both healthier and easier and something you can enjoy everyday! I wanted another way to enjoy my low-carb, healthy version of mashed potatoes. 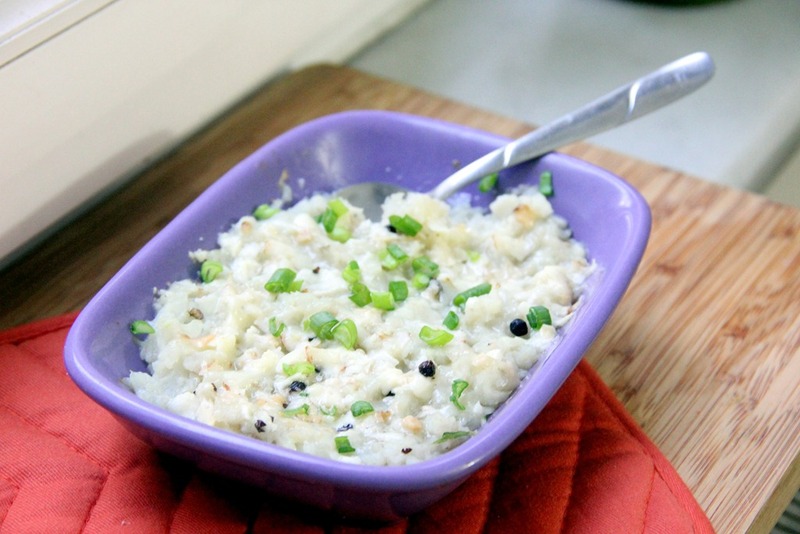 Spread my recipe for mashed celeriac (cauliflower can replace the celeriac), spread the result into a glass dish, shred an even layer of cheddar or parmesan cheese on top and sprinkle with chopped scallions or chives. Broil in the oven on high or until the cheese has melted. Voilà! It sure comforted me while I watched the seemingly unrelenting rain from my living room window. This entry was tagged butter, casserole, cauliflower, celeriac, celery root, cheese, chives, garlic, mashed, mustard, potato, vegan, vegetarian. Bookmark the permalink.